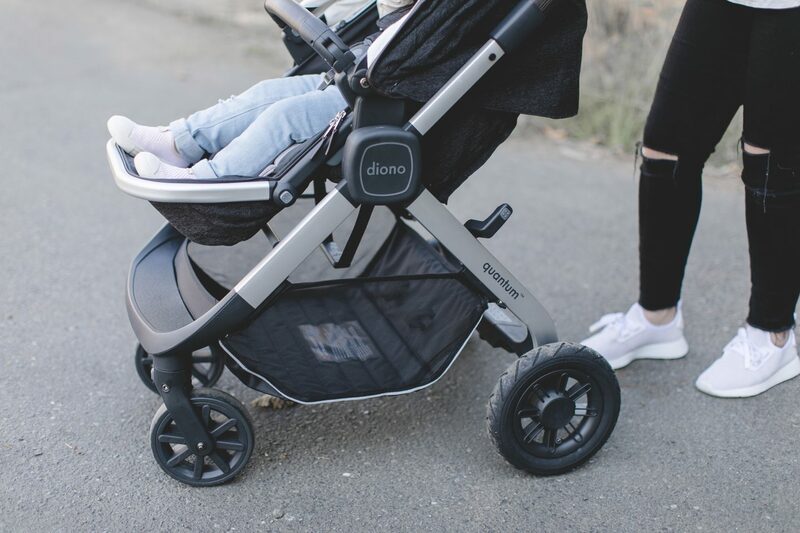 There are so many factors to consider when making an important purchase like a stroller and I have to say that Diono has done a great job checking off the boxes with this one! I’m pretty sure that most parents out there will agree that style is a big factor when choosing baby gear these days. 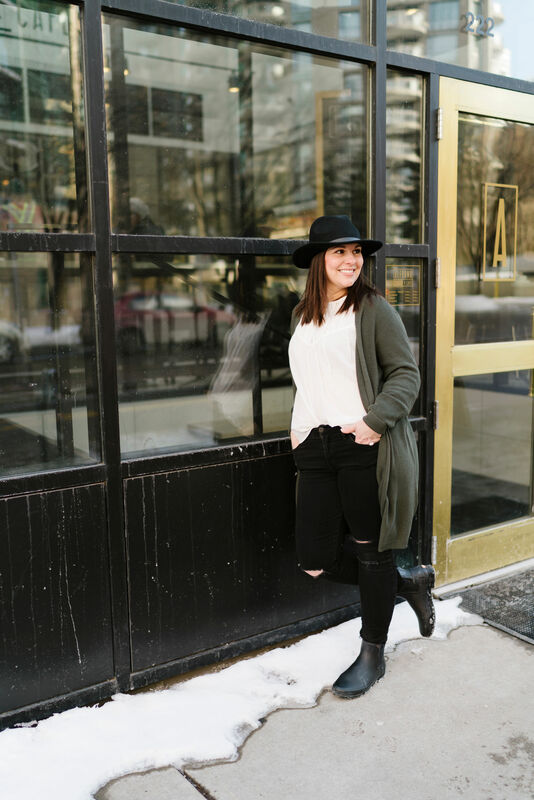 With so many options why wouldn’t you get a little bit picky and choose something to suit your style. 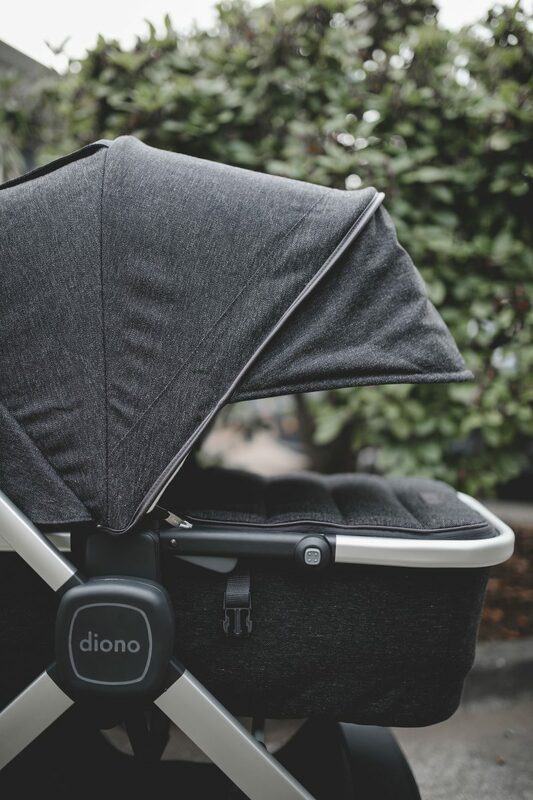 Diono knows this and has done a great job bringing us a stroller that will excite your stylish senses. I chose the dark grey, but they also have a light grey option. The perfect classic neutral for everyones lifestyle. Some fancy upgrades that I was excited about are the leatherette handle bar, bumper bar and accent detailing. 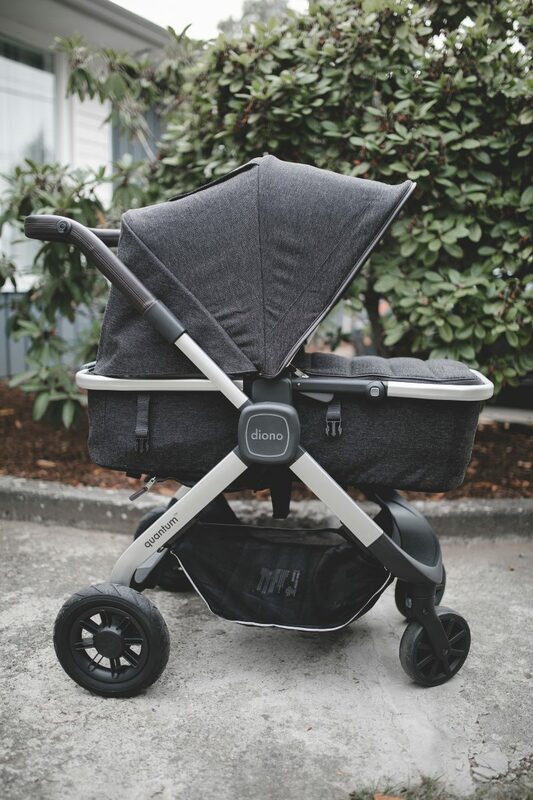 In addition, the plush, super soft bassinet lining and mattress for cozy snoozes on the go! 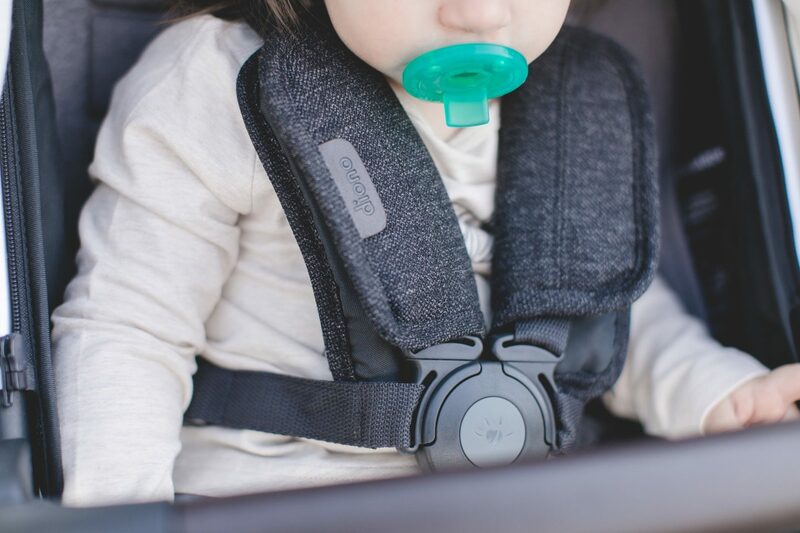 I also love the padded harness to keep your little one secure and comfortable. A spacious basket provides plenty of storage. There never seems to be enough room for “all the things” and I love how they addressed this. 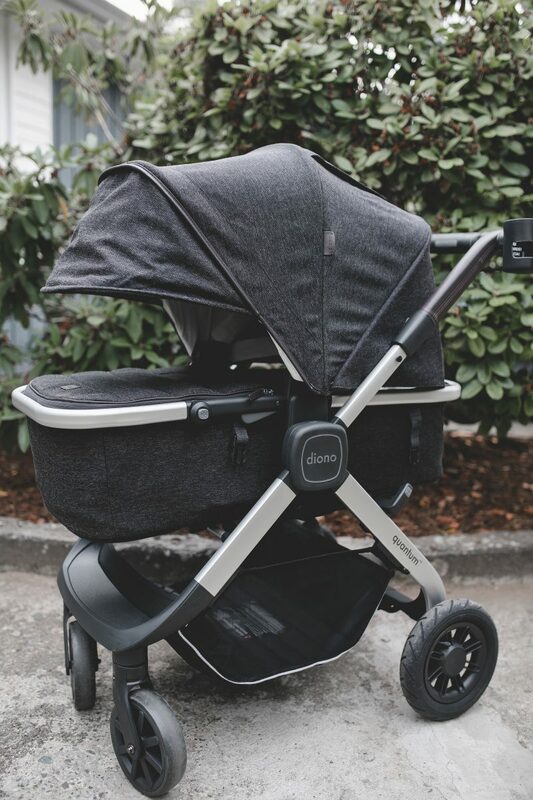 The seat is super versatile offering a bassinet option for the newborn stage and easily transitions to a seat as baby grows. The seat also reclines and can be forward or rear facing in seconds. 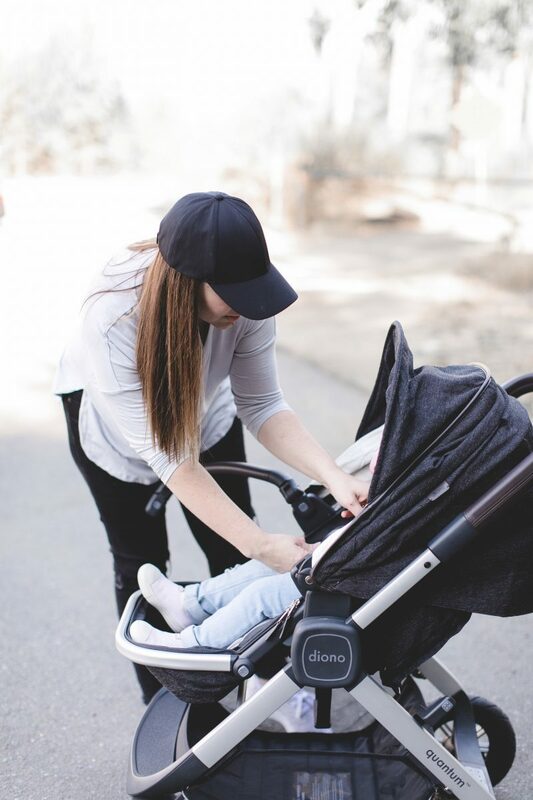 The canopy has a variety of functions depending on how you’re using the stroller. 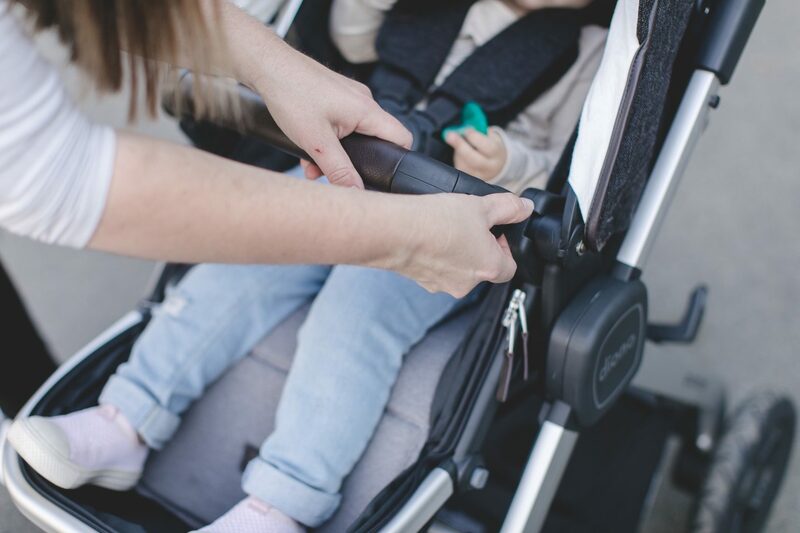 pull it all the way over to keep baby fully shaded, partially open with the peek option, or remove it all together. The tires are not only all terrain but all air filled making the ride smooth and comfortable on a variety of surfaces. 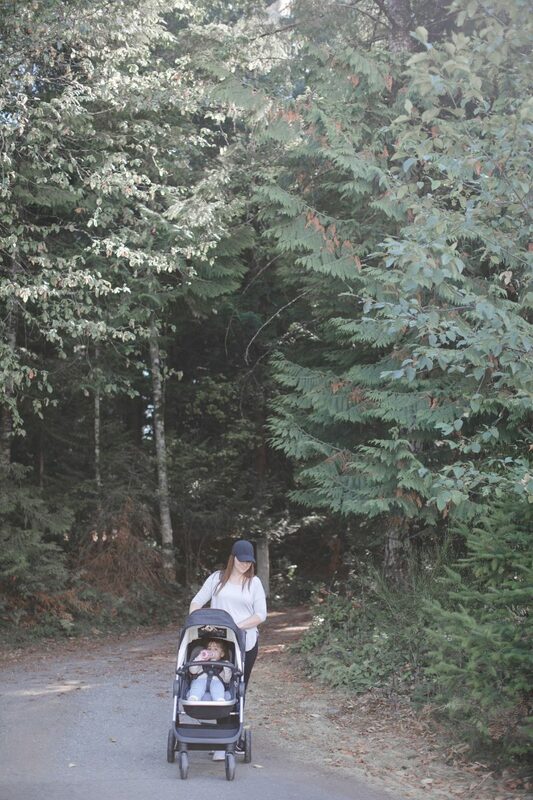 I was impressed that it transitioned from smooth pavement to trail walking really well! 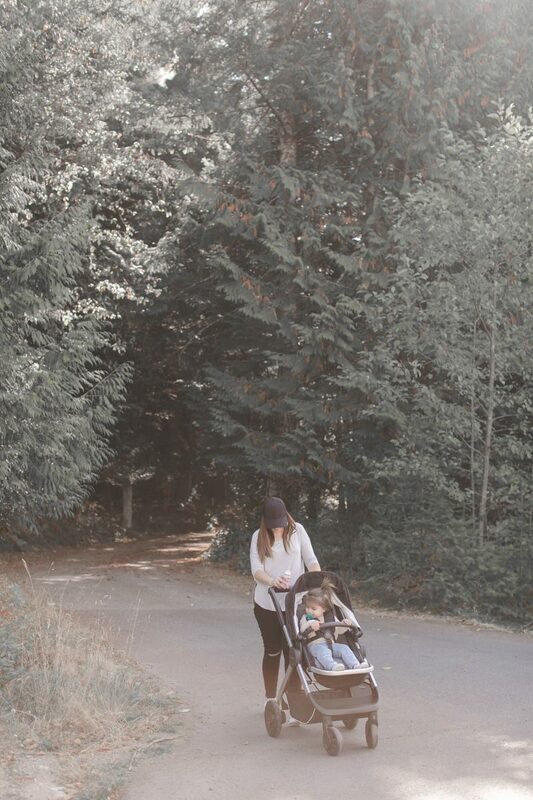 All in all I’m super impressed with this stroller system. 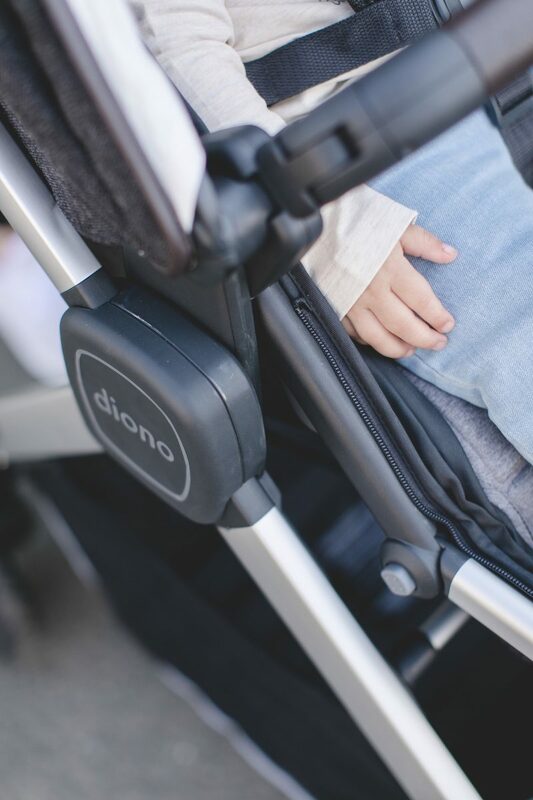 Diono has always been a favourite brand of ours and they kept their status in my books;) If you’re on the hunt for a new stroller system, I can confidently recommend the Quantum Classic! I really like how stylish it is. 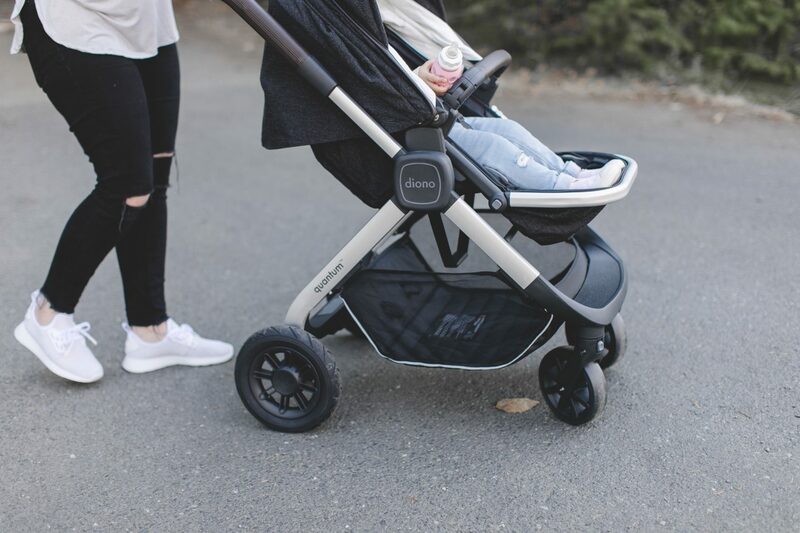 Strollers have come a long way in comfort since the days we were rolling around in them! Oh, I love that it converts from bassinet to seat! That’s so helpful during those first couple of months. right? 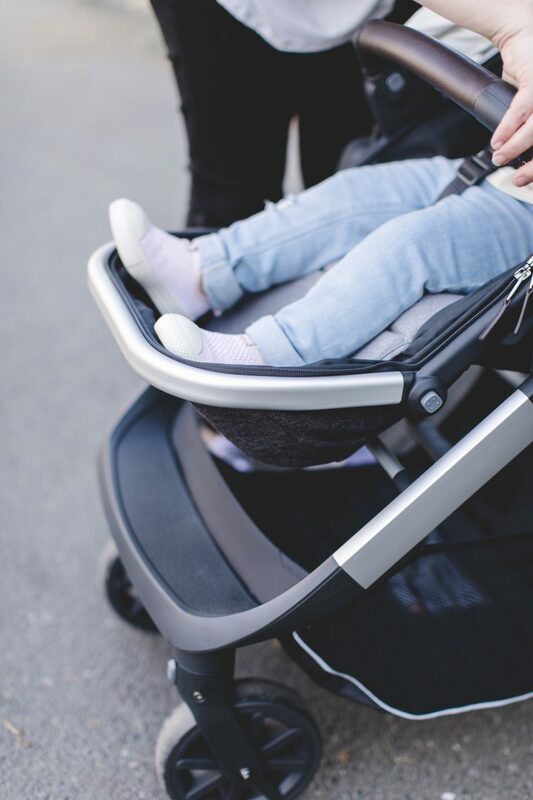 And unlike other bassinets strollers its not a separate attachment. Its so easy to switch back and forth! 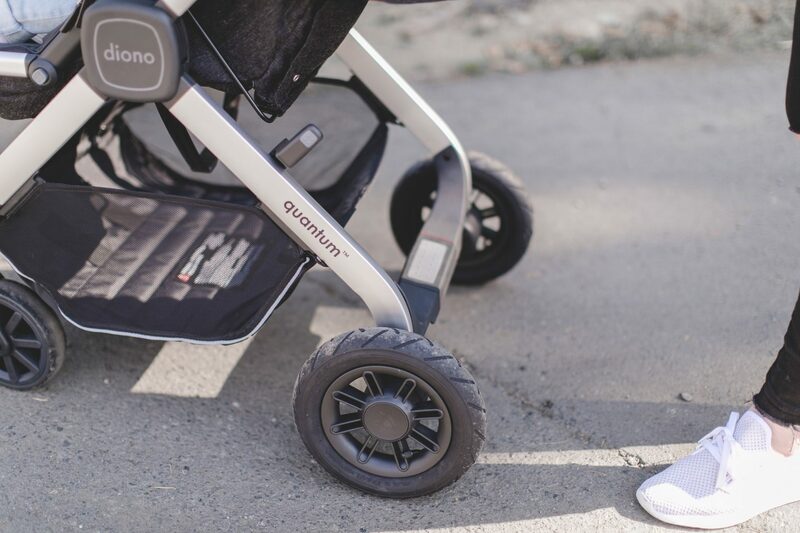 This stroller looks like it has all the things! 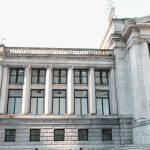 I love the photos too! SO fun! 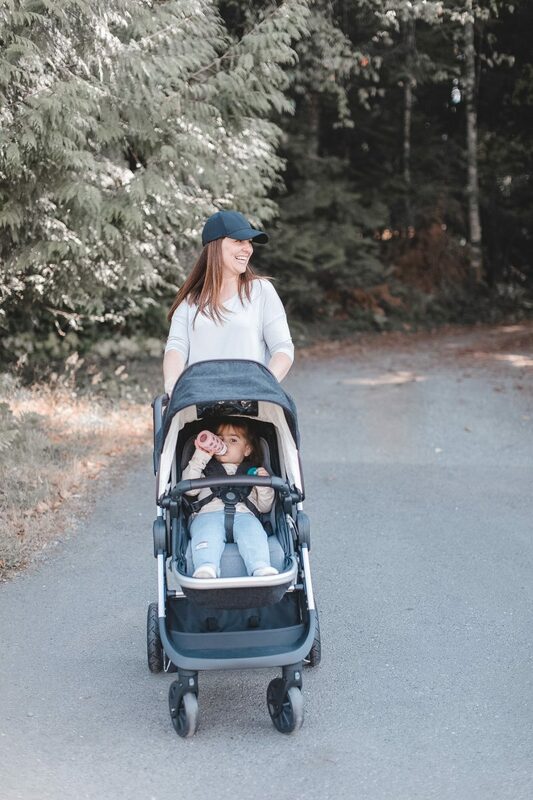 This is so much more stylish than my stroller and I love how big the sun shade is! 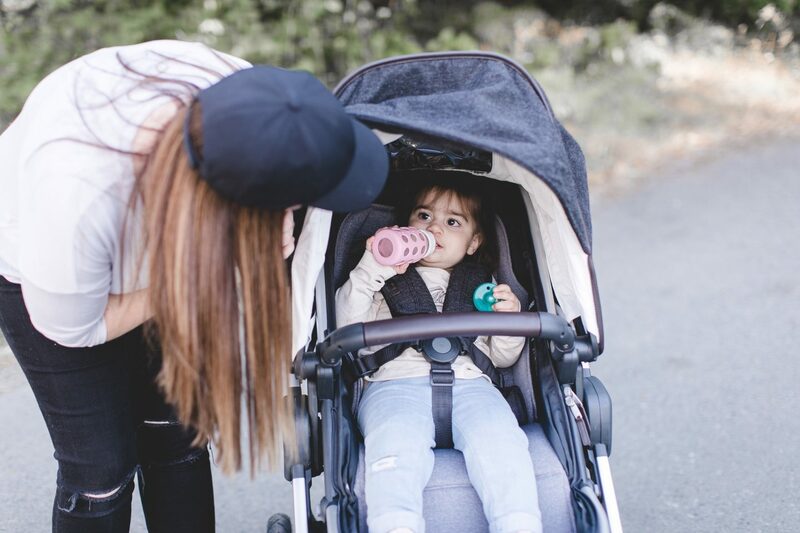 Super cute stroller. Yes the shade is perfect for all the weather!